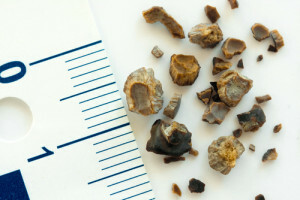 Urinary stones are a common problem in the western world affecting close to 10% of people at some point in their lives. Stones are most commonly made of a combination of calcium, phosphate and oxalate but can also include other minerals such as uric acid. The interaction between these minerals in the urine is complex. If a person has formed a stone, there is roughly a 50% chance that they may form another within the next 10 years. People who are overweight, have diabetes or high blood pressure are more likely to form stones. Having an adequate volume of urine each day prevents the precipitation of minerals that cause stones, and washes out any microscopic minerals that may form before they become a problem. Aim for fluid intake between 2 and 2.5 litres. This may need to be increased if you are active or out in the sun. As a general rule – if you are thirsty you need more liquid! Water is ideal. The most important thing however is to reach the volume targets so if you absolutely can’t stand water, other beverages are better than nothing. Salt intake is linked to calcium excretion in the urine. The average western diet is unfortunately extremely high in salt. Avoid foods which are clearly salty and resist the urge to add additional salt to anything. Guidelines suggest less than 2,300mg a day (which can be hard to achieve) but any reduction will help so start slowly and set achievable targets. 120ml of lemon juice a day (mixed with water, or straight if you are brave!) is a simple way to achieve this. 3-4 servings a day is recommended. A serving is roughly 1 glass (250ml) of milk, 1 tub (200g) of yogurt or two slices (40g) of cheese. Animal protein breaks down into purines that form uric acid in the body. Uric acid can cause uric acid OR calcium stones. An adequate animal protein intake is 1g/kg/day. An easier way to calculate this is to aim for a portion the size of your fist, or a pack of cards. All animal protein (red meat, fish, poultry) is roughly equal in this regard. If there was an abnormality found in the screening of your blood or urine, other measures may be appropriate for you. 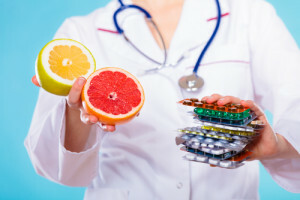 These can include further dietary modification or even medical therapy. The latest AUA guidelines (American Urological Association) are available online if you would like any more detail about the evidence for these recommendations. They are quite comprehensive (although also quite complicated! ).